The TT200 or Tetrotemp 200 by PCI is a dial gas expansion thermometer with capillary. The unit is suitable for chemical, petro chemical, gas and oil, food and pharmaceutical applications. 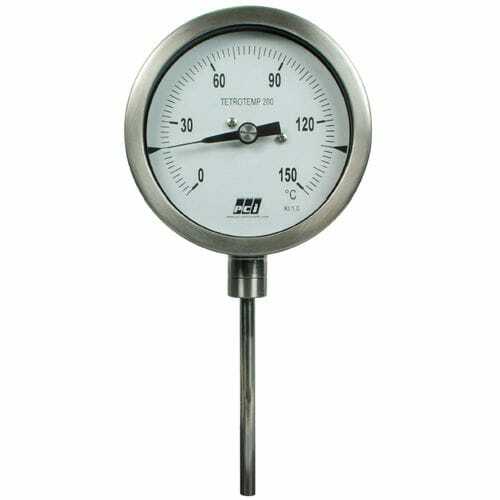 The thermometer has diameter sizes of 63, 100 and 150 mm, temperature capacity range from -200 to 650 Deg C, and accuracy of 1 % FSD.